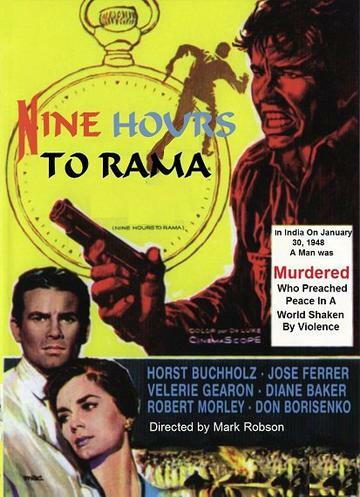 Starring Horst Buchhalz.�The nine hours leading to the assassination of leader Mahatma Gandhi. This excellent movie recreates the nine hours prior to the assassination of leader Mahatma Gandhi Perpetrated by a radical Hindu. Naturam Gadea (Horst Buchhalz), during the transition for independence from British Rule and the bloody conflict Between Hindu and Muslim. Fanatics believed that the only solution to this gory violence Is to kill Gandhi played by (J. 8. Casshvapl) This is a fictional account based on actual events.